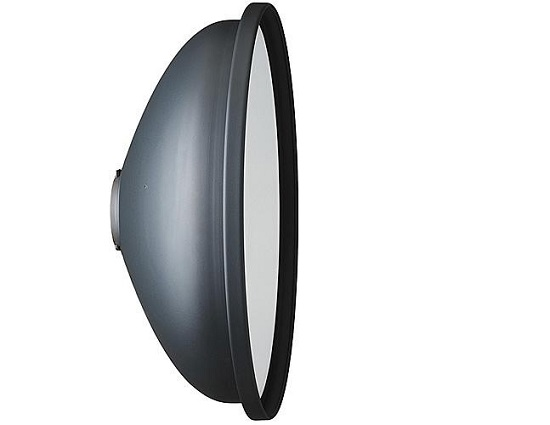 The Broncolor Beauty Dish Reflector is 20.4" (51.75cm) in diameter and has a 7.7" (20.4cm) deep white interior. When attached to any Broncolor flash head or monolight, it will provide even light with deep shadows that have soft edges. For more softening, a 1/2 stop fabric diffuser "sock" that can slip over the front is included.